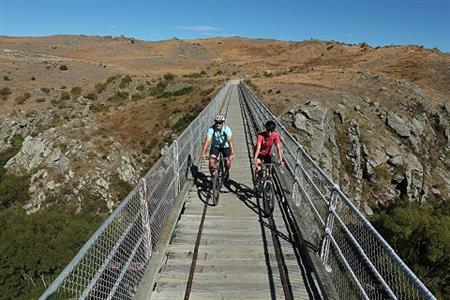 Hiring bikes for the Central Otago Rail Trail is a good, practical option. 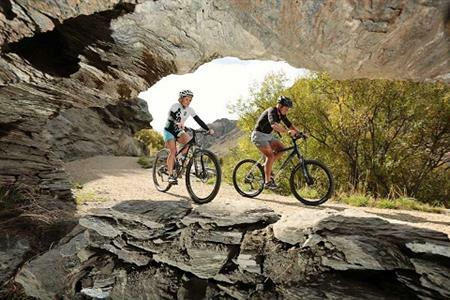 There is a choice of companies to hire from and between them they cover all possible options for both mountain bikers and recreational cyclists. 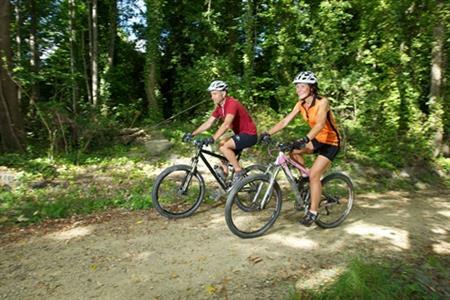 Cycles are chosen for their suitability to the conditions and there are a range of mountain bikes and hybrid or comfort bikes. 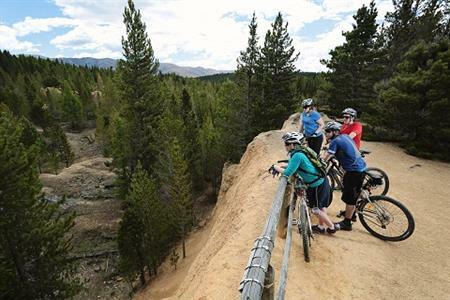 Mountain bikes are often preferred by experienced riders and enthusiasts who may also want to try out some of the back country tracks. Hybrid bikes are designed for purpose and comfort. They have wide seats and front suspension and some have seat suspension, too. Hybrid bikes encourage a more upright riding position designed to take the pressure of necks and wrists. 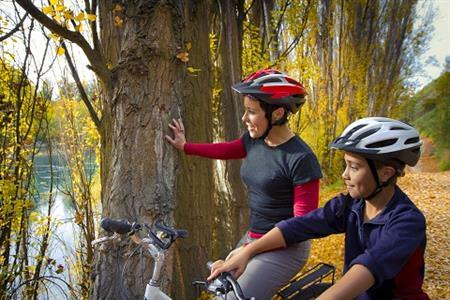 Bike sizes range from children’s through to large adult bikes. Children’s seats, baby seats and single or double trailers towed by adult bikes are also available. Hire companies provide the essential bike safety helmets and may also offer for hire and/or sale: toolkits, pumps, panniers for carrying gear, gel seat covers for extra comfort and bike racks to attach to car bumpers for transporting bikes. 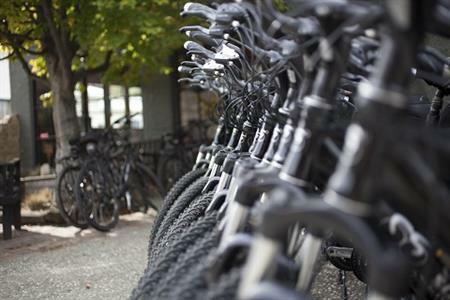 Hire companies often have depots to pick up and drop off bikes along the Rail Trail and some provide car storage, transportation between locations and/or back to your starting point. Some also provide booking and tour services. If you prefer to ride your own bike, you can still get kitted out with the practical essentials, plus extras to make your cycle experience more comfortable and enjoyable. For any servicing requirements, there are cycle specialist shops in Cromwell and Alexandra.